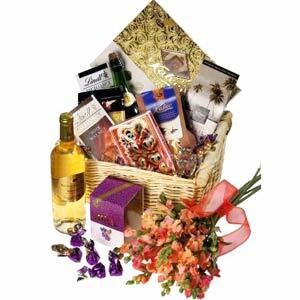 Our main goal is - deliver flowers and gifts, you're sending, in time and of best possible quality. Dear client, please read our terms and conditions of services for better understanding of how we are working and processing Your orders. We deliver flowers to Vinnitsa and vinnitsa region, you can check our serviced cities list. Ask us, if you want deliver to another city. If you need to send flowers to any other city of Ukraine or, even, to another country - we have such possibilities. Ask a guestion and we will answer. The information you are providing, is considered to be private and will not be shared with others. This includes your name, contacts, recipient contacts, address, card message. Name and address of recipient, card message are shared only with local florist, who is delivering flowers/gifts, you are sending. Name and contacts of sender are not shared with local florist, so add your sign to card message, if you want recipient know your name! Your credit card information are entered on secure bank server and by you personally only. If you don't know delivery adress, but you have recipient phone number - we will call recipient and agree delivery address and best delivery time. We will not tell about flowers and just say: "We have delivery for you". Even if you know delivery address, specify recipient's phone anyway to higher delivery reliability. Incomplete or incorrect address and/or phone numbers may greatly delay delivery or make it impossible at all. If recipient is working during the day, we recommend you use working address to send flowers. - Leave flowers/gifts at recipient working place (in case of delivery to working address). Please, specify all known phone numbers of recipient - it will higher delivery reliability. If you have few phones -enter it one by one comma separated. You may enter DO NOT CALL instead phone number of recipient, but you should understand - You are taking risk of recipient's absence at delivery address Flowers are short-life goods, we will not be able to refund you money if delivery will fail. If you know recipient's phone and calling before delivery is not desired, specify recipient's phone number and after comma add a comment asking do not call before delivery. All prices includes delivery fee. Delivery in Vinnitsa - is free! Main cities are specified in cities list, if you need deliver flowers to another city - ask a question and we will reply about possibility, terms and price of delivery of your order. In most cases we are carrying out all delivery requests. Same day delivery is available in Vinnitsa and other cities of vinnitsa region. And thus we recommend you place and pay for your order 1-3 days before delivery. Flowers are usually delivered during normal business hours (9 AM to 6 PM). Delivery time specified in order is desirable. We will try deliver within the specified time, if it will be possible. If you need accurate delivery time - you should agree it 1-3 days before delivery at least. If you need special delivery time (early morning, late evening, night delivery), it is possible for extra-payment. You should send us request for special delivery time 1-3 days before delivery at least. We will inform you about possibility and price for delivery of your order. You may also place order for flowers and/or gifts delivery and add comment about special delivery time you need. We will inform you about possibility and price for delivery of your order. Delivery of flowers and/or gifts is possible on Sundays and holidays too. And thus you must place and pay for your order 1-3 days before delivery, because if you will plece oredr on Sunday and for Sunday delivery, mostly we will offer you delivery for next working day. During peak holiday periods prices are higher for 20-30% usually. On such holidays as Valetntine Day, 8-th of March,.. we strongly recommend you to place order beforehand (1-2 weeks before delivery in average) due to peak traiding periods. We'll put all eforts to deliver even late orders too. During peak holiday periods we deliver during the day. Delivery time specified in order is desired: we're taking it into account, but not guarantee. Usually we send confirmation after delivery and thus you may request status of your order. Specify your order number and/or your and recipient's full name and we will update you. Due to various seasonal and regional conditions, availability of some flowers may be limited in some areas, specific flowers varieties or colors may be unavailable on specified day. So, it may happen that delivery of the same flowers arrangement as pictured or requested may be unavailable for delivery. In this case florist will deliver similar flowers arrangement of equal or greater value and beauty. Every effort will be made to maintain size, shape, and overall color schemes of the arrangement, but there may be some variance due to designer interpretation. In single flower variety arrangements, variety will take preference over color (if You'll not specify another in "Order comment" field, when sending your order). Additional items (toys, chocolates, champagne, fruit-, gournmet-, chocolate baskets, etc) may vary according to region and supply. Our main goal is to ensure, that quality and integrity of the items delivered matches the value of the items ordered. For Vinnitsa photo of recipient with flowers is possible! For another cities, please, ask about possibility. Specify that you want to get the photo of Recipient in "Order comment" field, when placing your order. We will send you a photo by e-mail. Sending flowers, you may also send a postcard with congratulations (+0.0$), sweets (5$ and more), champaign (5$ and more) and soft toy (10$ and more). It's so pleasant to receive something else with wonderful bouquet!!! If for any reason you wish to change or cancel your order, please notify us as soon as possible. We are happy to accommodate requests for changes or cancellations as long as we receive them before the order has been sent out for delivery or prepared for shipment. 48 hour advance notice is necessary to assure a cancellation or any changes to your order. An order cannot be cancelled or changed after it has been sent out for delivery or prepared for shipment (i.e. created by the designer). In case an order has been cancelled we keep 15% of the order's total price and refund the rest of the sum paid. In case of incomplete/incorrect address, information or phone numbers resulting in non-delivery, no refund is possible due to the infrastructure costs involved and to the fact that flowers are perishable. If your floral arrangement is not fresh and not of the highest quality, we will willingly replace it. If you are not satisfied with the quality of the flowers you should send explanation of your problem to us within 48 hours after delivery. Fresh cut flowers are highly perishable and we cannot offer a replacement or refund if you do not notify us promptly of your concern. In case of incomplete/incorrect address, information or phone numbers resulting in non-delivery, no refund is possible due to the infrastructure costs involved and to the fact that flowers are perishable. If order was not delivered on our blame, we can deliver it as soon as possible after consultation with you, or you may get your money back. The above does not concern tonon-execution of the order in connection with force-majeure circumstance. In any case the amount of compensations can't be greater than the cost you've paid for you order.